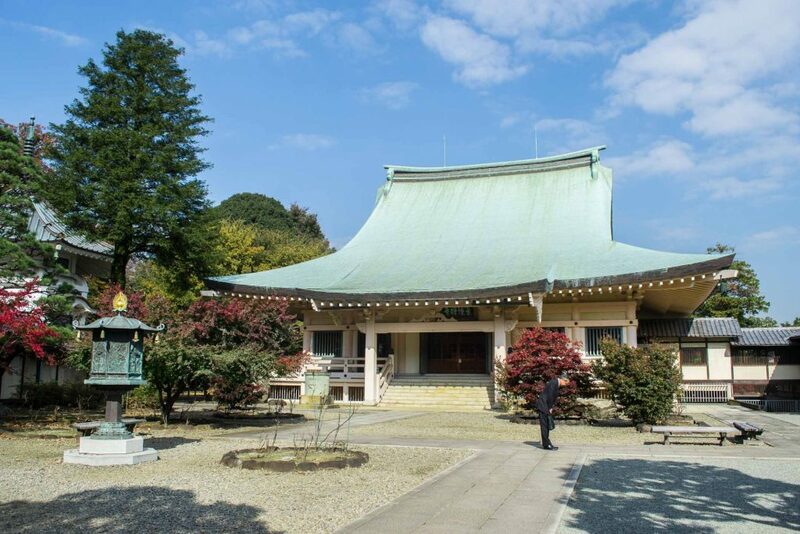 Gotokuji Temple – Today’s the day I tell you about the Gotokuji Buddhist temple! 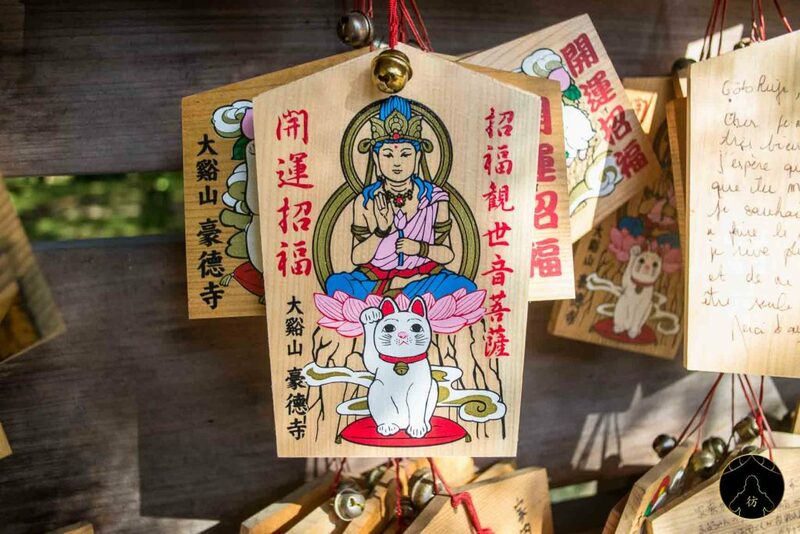 One of its main characteristics is that it has maneki-neko almost everywhere, and it’s also the temple of the neighborhood I lived in when I was in Tokyo. It’s a temple I visited regularly and I felt like I had to tell you about it. 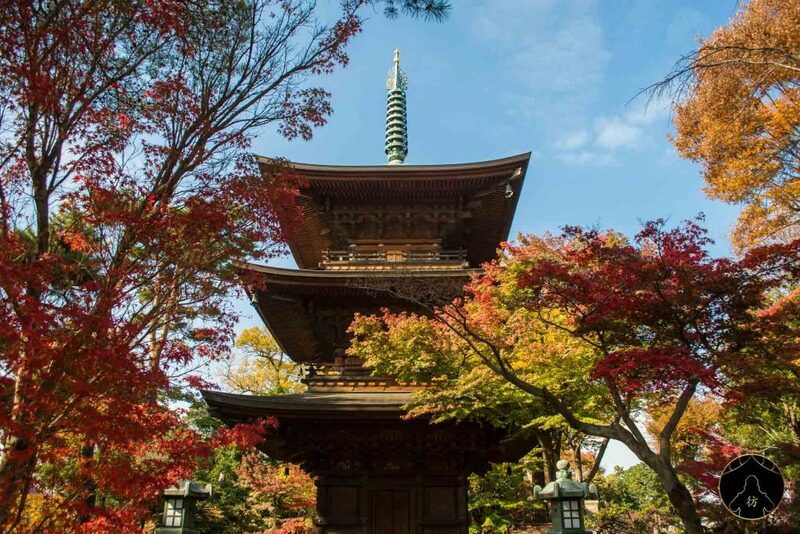 Besides being quite an unusual temple filled with maneki-neko figurines, it’s also a great place to visit with its old wooden buildings and its authentically zen atmosphere. Oh, you’re wondering what maneki-neko are? Sit back and let me tell you about them! Maneki-neko are an integral part of Japanese culture and these porcelain statues are considered to be powerful good luck charms. 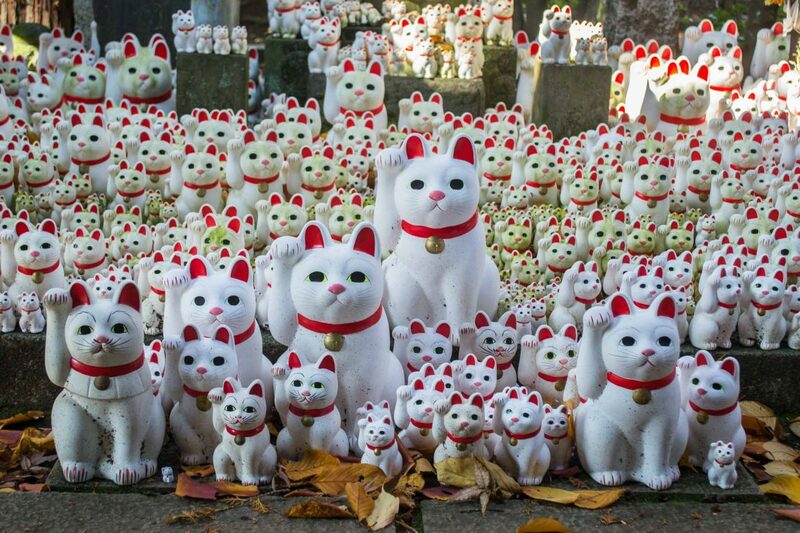 You might be wondering how the legend of these famous cat figurines came to be. Well, there are several stories about the origin of maneki-neko and their symbolism but let me tell you the one that the temple’s priest himself told me. Once upon a time, there was a young shopkeeper who had just opened a little shop. He probably lacked commercial experience, had a hard time getting things to work properly, and very few people noticed his shop. One day, a cat visited his shop and stood in front, greeting every passerby. He tried to make the little creature go away because he thought it would scare the customers away. But the cat stood there and the shopkeeper gave up chasing it away. That’s exactly when magic happened! The beckoning cat who greeted everyone with his little paw could go unnoticed; curious passers-by started approaching him and sometimes crowds of them would stop by and gather around the cat to observe him. That’s how the curiosity of people turned to the shop itself, so they started to come more often and buy the products the shopkeeper was selling. The young man didn’t expect things to turn out the way they did so he attributed his success to the cat who became his lucky charm. 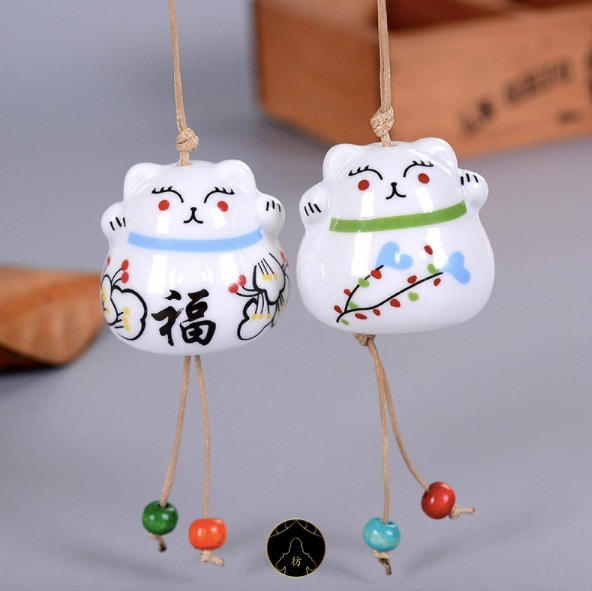 By the way, if you are looking to bring luck to your home, I’m selling few Maneki Neko wind chimes on my shop: Maneki Neko Wind Chime. 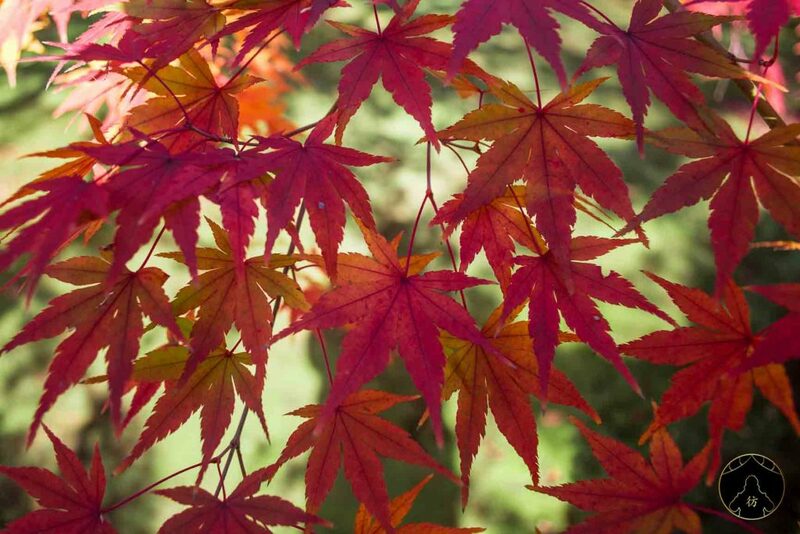 The temple’s entrance is lined with these beautiful maple trees whose leaves become bright red in autumn. Those red leaves are called momiji in Japan and you can find out more about them in my blog post about the best time to travel to Japan. 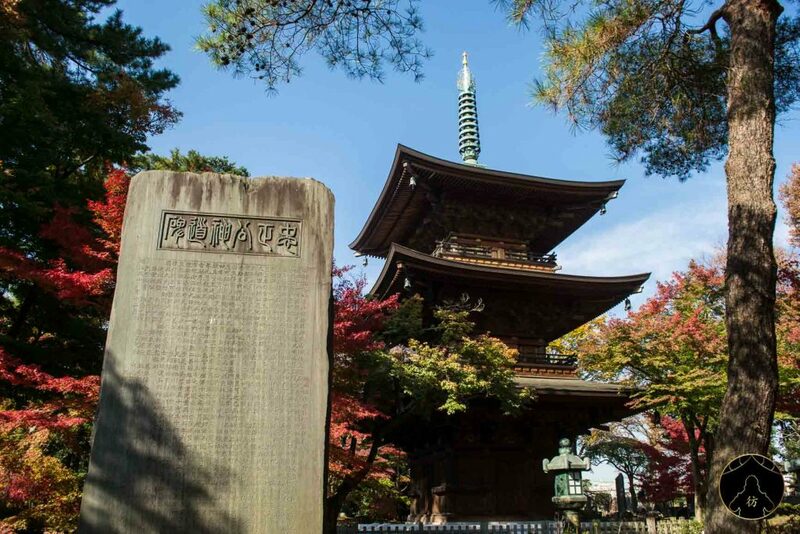 As you walk down the path, you will see a magnificent three-storied wooden pagoda and a large stone tablet on your right. 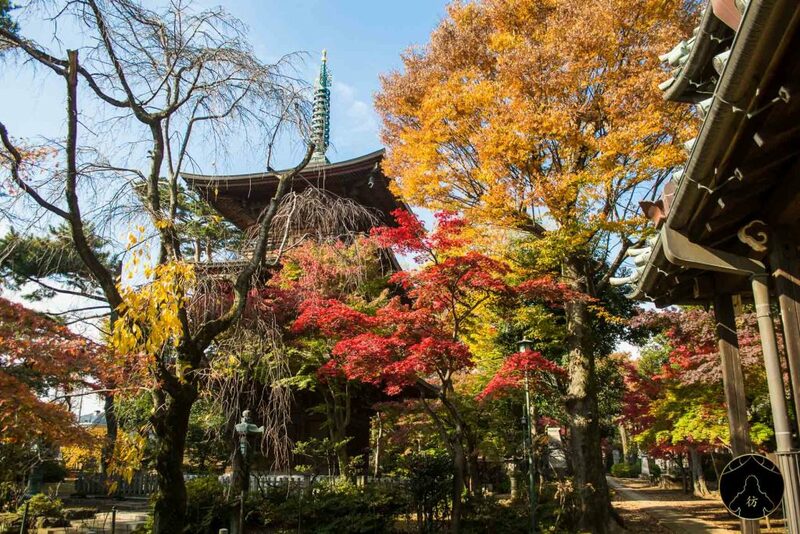 The combination of colors from the buildings and the momiji is just mind-blowing! Where are the famous maneki-neko though? We’re getting there. If you turn left then right, there is a small temple just in front of the pagoda. 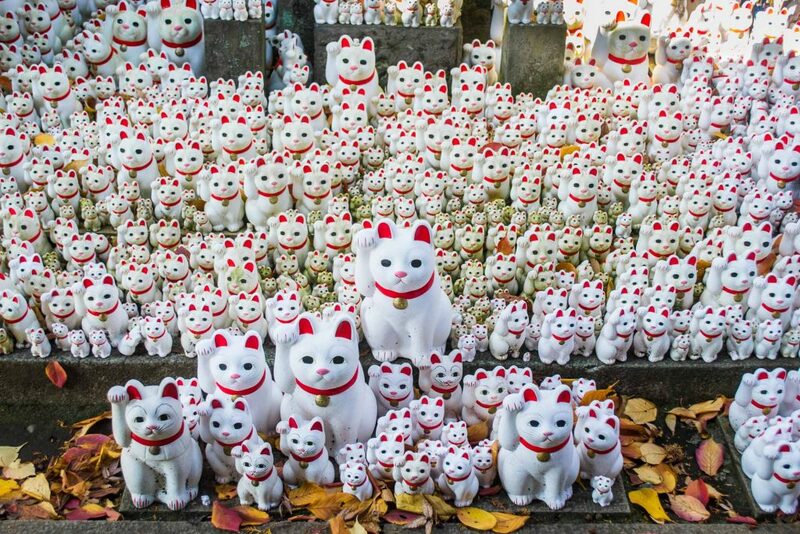 Inside are thousands of maneki-neko on the ground, to your right. And everyday there’s more of these statues because those who visit the temple usually bring maneki-neko figurines with them and add them to the others. I can tell you that during the year I spent there, their number increased incredibly fast! It was really impressive. Like I said earlier, the Gotokuji temple is a very peculiar temple filled with cat figurines but it is also a very nice place to unwind, surrounded by nature. 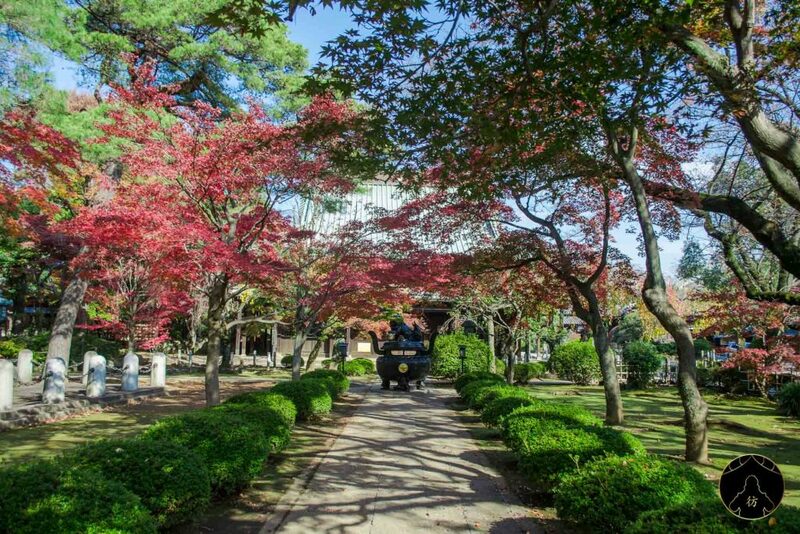 Let’s visit the Gotokuji temple together in this short video! 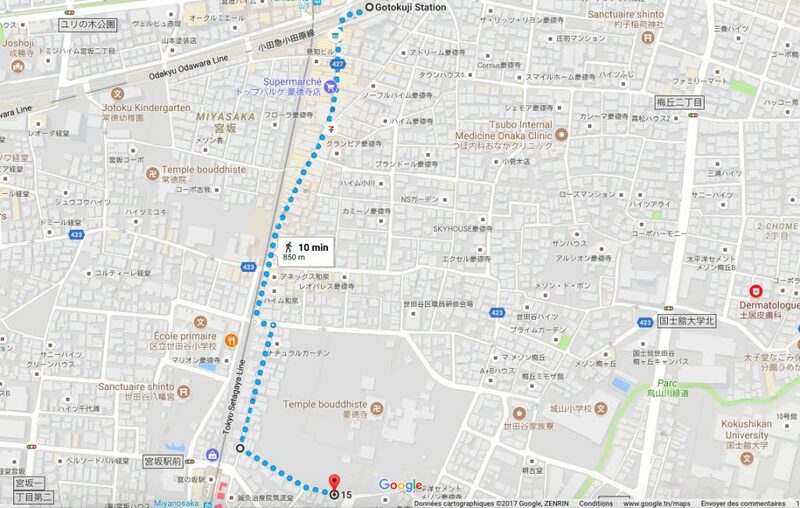 To get to Gotokuji temple, the best way is to take the train to the Gotokuji Station. You can go to Shinjuku Station and take the Odakyu line to Gotokuji Station. Here is a route you can follow as shown on hyperdia.com. 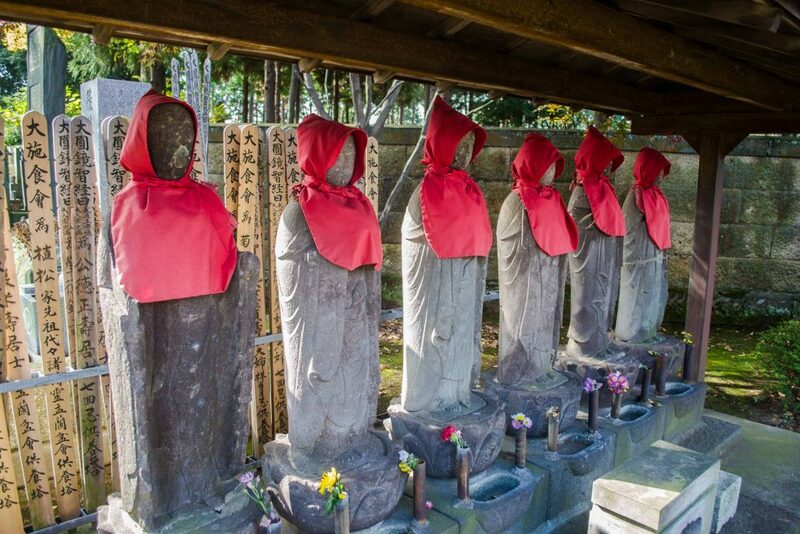 You’ll then have to walk 10 minutes to reach Gotokuji temple. The temple’s south entrance is where you should head to! Opening hours are from 6AM to 6PM. By the way, check out these blog posts if you’re looking for cheap hostels or ryokan in Tokyo. I can’t believe I already miss this temple! If you need more information about this, feel free to ask your questions in the comments below. You can also follow my adventures on social media for more tips on travel and accommodation in Japan and elsewhere in Asia: Facebook, Instagram and Pinterest. 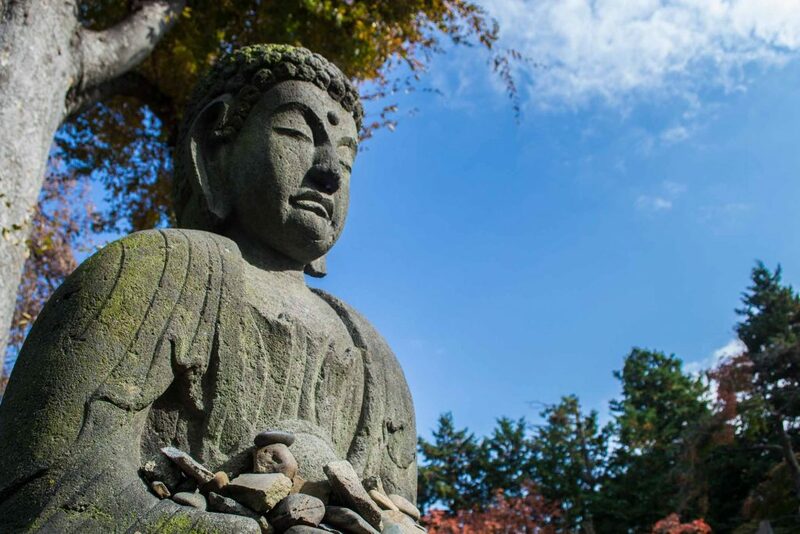 PS: Do you need more inspiration to organise your trip to Tokyo? Read this: Best things to do in Tokyo.